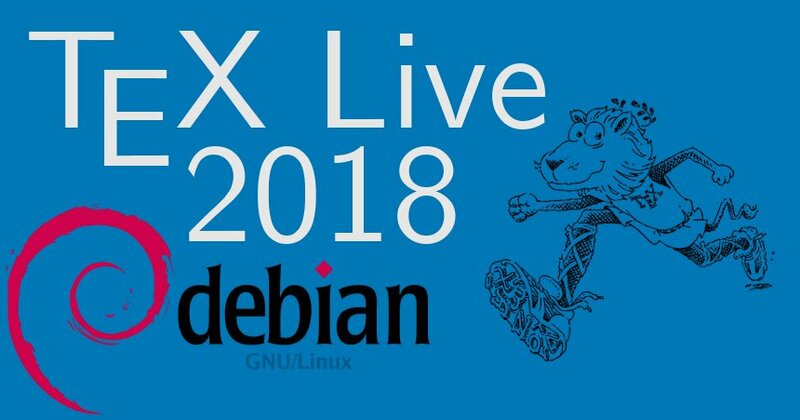 MOre than a month has passed, and we went through a CVE and some other complications, but finally I managed to build and upload a new set of packages of TeX Live for Debian. During this update some color profiles (icc) that had unclear licenses have been removed, which for now creates problems with the pdfx package. So if you use the pdfx package, please explicitly specify a color profile. The next upload will again allow using pdfx without specifying a profile in which case a default profile is used. I have uploaded already a set of free profiles to CTAN and they arrived in TeX Live, but pdfx package isn’t updated till now. bxwareki, chs-physics-report, ctanbib, dehyph, firamath, firamath-otf, jigsaw, kalendarium, kvmap, libertinus, libertinus-fonts, libertinus-type1, metapost-colorbrewer, pst-feyn, pst-lsystem, pst-marble, ptex-manual, quantikz, rank-2-roots, tex-locale, utexasthesis, widows-and-orphans. achemso, apa6, arabluatex, archaeologie, arydshln, axodraw2, babel, babel-belarusian, babel-french, bangorcsthesis, beamer, beamerswitch, bezierplot, biblatex-anonymous, biblatex-chem, biblatex-ext, biblatex-manuscripts-philology, biblatex-publist, bidi, breqn, bxjscls, bxorigcapt, bxwareki, caption, catechis, clrstrip, cochineal, context-handlecsv, cooking-units, covington, csplain, cstex, doi, ducksay, duckuments, dvipdfmx, eplain, epstopdf, europecv, exercisebank, fei, fira, fontawesome5, gentombow, hyperref, hyphen-german, hyphen-latin, hyphen-thai, hyph-utf8, ifluatex, jadetex, jlreq, jslectureplanner, l3build, l3experimental, l3kernel, l3packages, latex-bin, latexindent, latex-make, lettrine, libertinus-otf, libertinust1math, libertinus-type1, listings, lshort-chinese, lualibs, luamplib, luaotfload, luatexja, lwarp, make4ht, memdesign, mltex, mptopdf, nicematrix, nimbus15, oberdiek, ocgx2, onedown, overpic, parskip, pdftex, pdfx, perception, platex, platex-tools, plautopatch, poetry, pst-eucl, pst-plot, pstricks, ptex, reledmac, returntogrid, sourceserifpro, svg, tableof, tetex, tex4ht, textualicomma, thesis-gwu, thumbpdf, tkz-base, tkz-doc, tkz-graph, tkz-kiviat, tkz-linknodes, tkz-tab, tlcockpit, tugboat, tugboat-plain, ucsmonograph, ulthese, univie-ling, updmap-map, uri, witharrows, xcharter, xepersian, xetex, xits, xmltex, yafoot, zhlipsum.